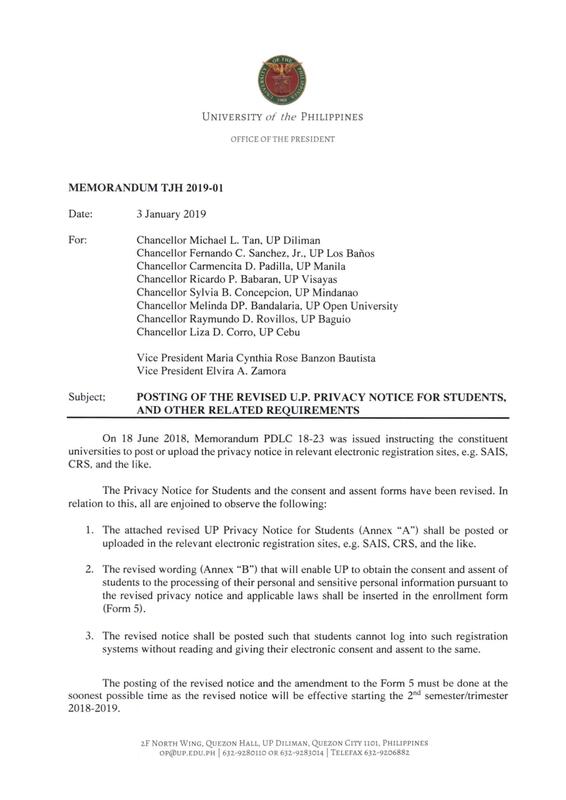 The previous privacy notice issued for the 1st semester 2018-2019 has been revised. This amended notice will take effect starting the first day of the regular registration period for the 2nd semester or trimester 2018-2019. The consent and assent of students to the processing of their personal and sensitive personal information is included in the enrollment form (Form 5).